Subject: What Is the Gold-to-Silver Ratio? − two = 0 Required Please enter the correct value. 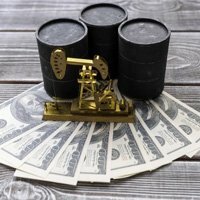 What Is the Gold-to-Silver Ratio? Precious metals investors are always fixated on the gold-to-silver ratio. That's because the gold-to-silver ratio helps determine when to buy and sell the shiny metals. The ratio should be on the radar of every precious metal investor, from the novice to the sophisticated. Are You Bullish or Bearish on Precious Metals? Gold has taken a beating in recent weeks and is now tumbling along at four-year lows of $1,160/ounce. Frankly, I think that's fantastic news. Today I want to show you my gold investing strategy that's perfect for moments like this. You'll get the two tactics you need as a gold investor, a simple test to determine if you own enough gold, and a look at how to buy it. Today's gold prices fell to levels not seen since mid-June. By market close Thursday, the yellow metal will have fallen for a fifth-straight session - its longest slump since June 2. 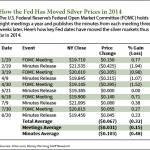 For all the discussions of inflation and labor market conditions going on at the U.S. Federal Reserve's policy meetings this year, it would be expected that the Fed's words would be felt in silver prices in 2014. It's not surprising that precious metals get the most attention. They're considered "precious" thanks to their scarcity, beauty, and history as a store of value. That's all true. But industrial metals do the really hard work. There's one base metal used worldwide to produce rustproof steel, in a variety of alloys, and even as a health supplement. It's not often spoken of as a great addition to your investment portfolio. Here's the thing: It's poised to break out of a low multi-year price range and challenge the better-known metals in producing profits. Industrial firms, Wall Street hedge funds, and any big money investing in platinum anxiously await Johnson Matthey's semi-annual review of the platinum industry - and they got incredibly interesting reading in the group's most recent report, released Tuesday. 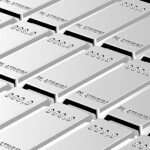 In its Platinum 2013 Interim Review, Johnson Matthey said the platinum market this year is moving toward a supply and demand deficit of 605,000 ounces - the largest deficit since 1999. That's up from a 340,000-ounce shortfall in 2012. 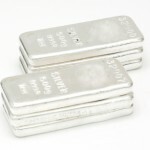 Silver prices are up nearly 8% in the past couple weeks as investors increasingly load up on the white metal. In fact, the U.S. Mint has temporarily suspended sales of its 2013 American Eagle silver coins because it has none left. Reuters reported today (Friday) that the Mint plans to restart sales in the last week of January after it has had a chance to restock. 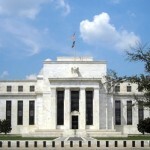 The U.S. Mint generally sees a big influx of demand when it releases new coins at the beginning of the year. This year, however, investors seeking a safe haven for their money added to the usual collector demand leaving the Mint's vaults bare. "It is easy to infer that some element of the fear trade may be at play," Joni Teves, an analyst at UBS AG in London, wrote today in an e-mailed report cited by Bloomberg News. "We view the chunky sales of American Eagle coins more a function of seasonality than anything else. It is important to keep an eye on U.S. coin sales in the coming months to see if volumes remain elevated as the debt ceiling showdown plays out." Investors have been flocking to precious metals to protect from looming inflation and a weak outlook for the U.S. dollar. The trend has turned investments related to gold, silver and other precious metals into some of the hottest plays of the past year. Gold is up 7.5% so far this year after a 30% rise in 2010, and hit a record high of $1,476.21 an ounce Monday. Silver has climbed about 40% this year, after an 83% surge in 2010, and hit a 31-year high this week. And Platinum is up 1.4% this year following a 20% jump last year. While gold was the popular topic of 2010, silver has been the star this year, getting more investor interest as a cheaper alternative to the yellow metal.